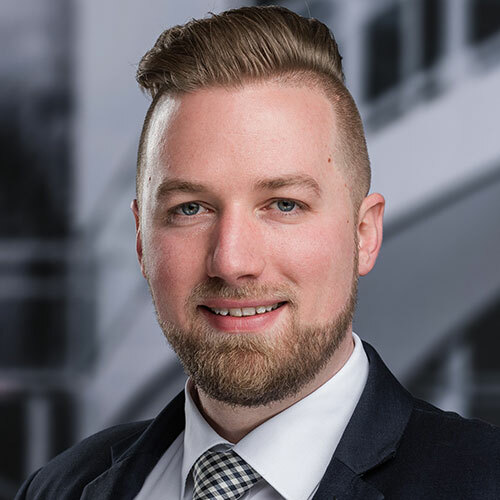 Benjamin Gnädig has been working in IT consulting since 2009, having joined the Business Analytics Consulting topic since 2011. Being a solution architect, he advises in the conceptual design and implementation of BI solutions. His enterprise manufacturing expertise extends to SAP Analytics, Microsoft Reporting and Power BI, Cubeware, and IBM Cognos. SAP clients in particular have come to treasure his sound expertise in the integration and engineering of SAP ERP solutions. In his projects he focusses on customer requirements; his analytic approach ensures that the end result dovetails with the designated objectives. 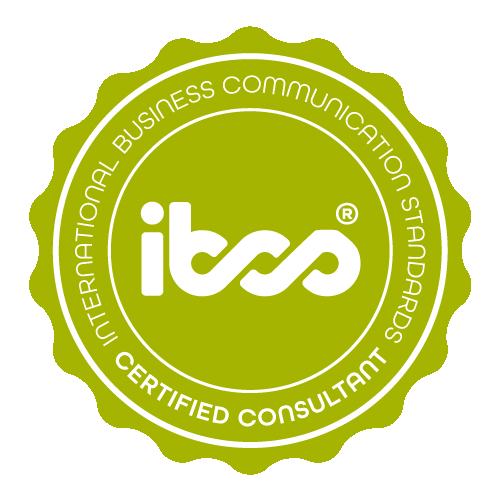 Consultancy, training and engineering unified IBCS® enterprise reporting solutions are part and parcel of his core competencies. Benjamin Gnädig has successfully completed the IBCS® certification for successful design of reports and presentations at the HICHERT+FAISST IBCS Institute in February 2017. 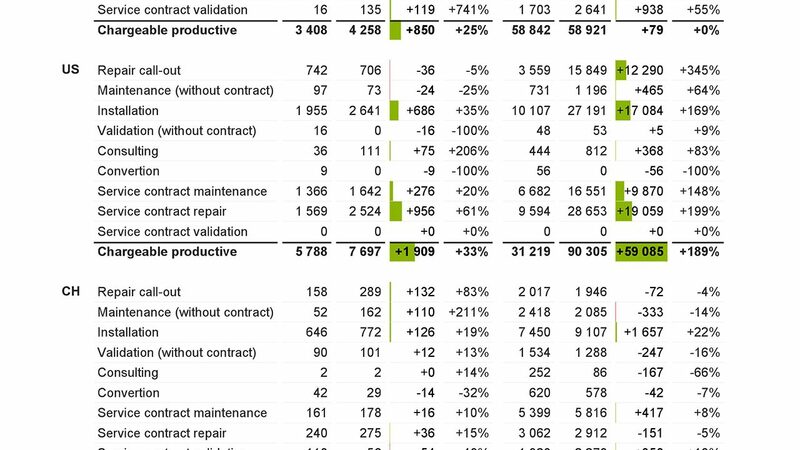 The following work samples have been created using SAP Business Objects 4.1 WebIntelligence and Cubeware Cockpit. Minor noncompliance with the IBCS® Standard result from technical barriers. HR dashboard This HR dashboard was created with SAP Business Objects 4.1 WebIntelligence. 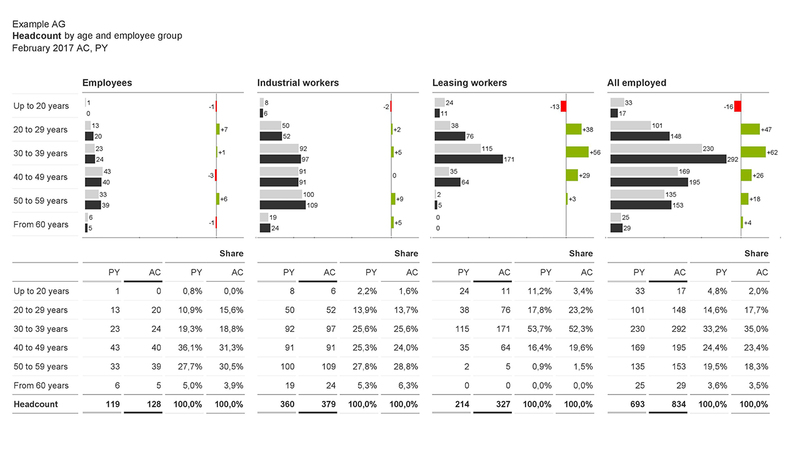 It shows the headcount of the respective employee and age groups. The year-on-year month-by-month representations and absolute deviations have been added in the bar charts. The underlying tables show the proportional distribution of the age groups in the previous year and current year. Statistic work hours This statistic shows the number of working hours of service technicians for the main countries and other areas of a fictional company. The absolute deviation is shown in color in a table row. Scaling is limited to column-based rendering for technical reasons. Implementation is based on Cubeware Cockpit C8. Man sieht nur, was man weiß? Visualisieren mit IBCS® schafft Verständnis!